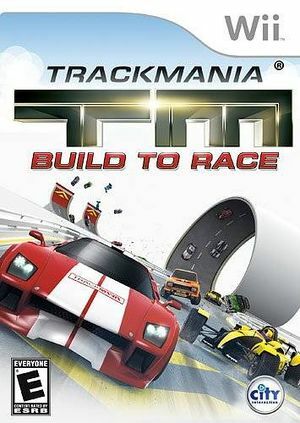 TrackMania: Build to Race's over 100 tracks geared for blazing fast racing action, each loaded with daring jumps, thrilling loops, crazy ramps, and a host of other insane stunts, are just the start. You have access to the most powerful portable track design system ever, giving Trackmaniacs total freedom to create the most over-the-top race courses imaginable and offering practically unlimited value. The "Coppers" reward system gives you credits for completed races which can be used to unlock new tracks, new car paint schemes, and most importantly, new parts to use in making the tracks of your dreams. The more you race, the more you can do! Single and multi-cart local wireless multiplayer support for up to four players at a time (and eight players via hot-seat mode) and the ability to share and race on each other's custom tracks. The graph below charts the compatibility with TrackMania: Build to Race since Dolphin's 2.0 release, listing revisions only where a compatibility change occurred. This page was last edited on 6 December 2016, at 23:24.